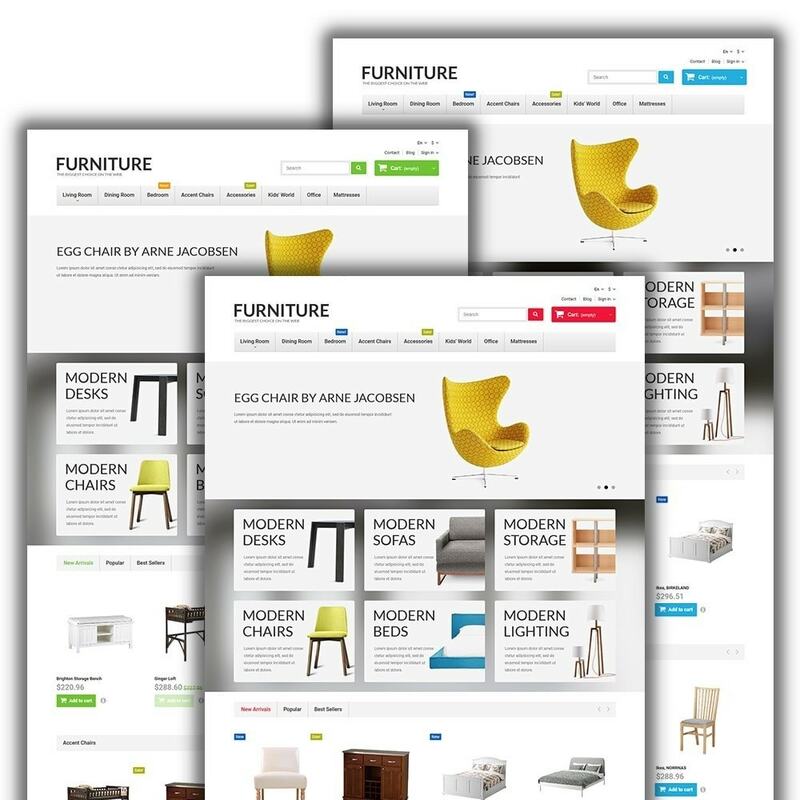 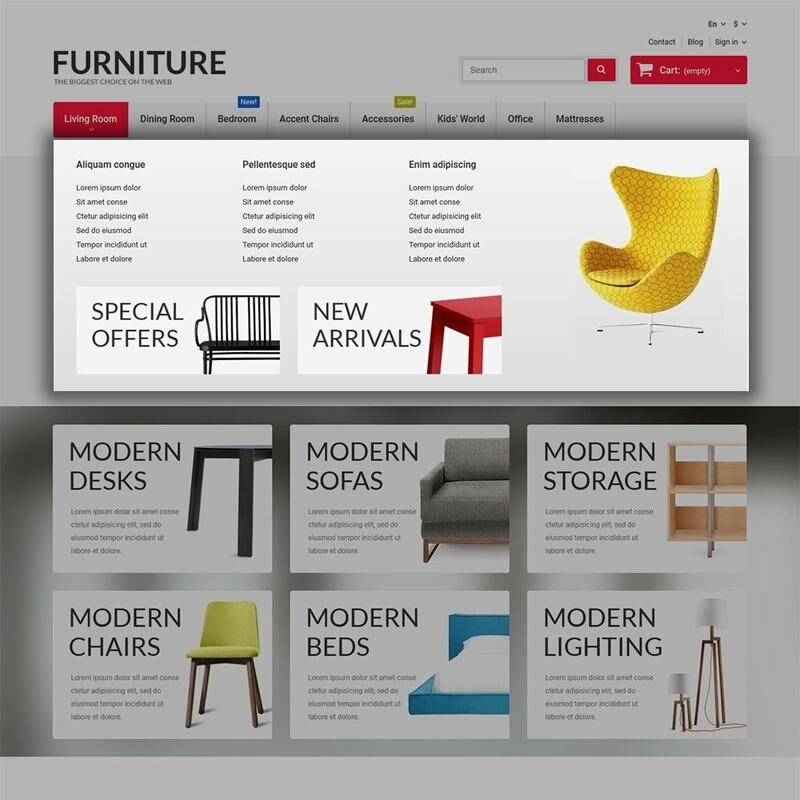 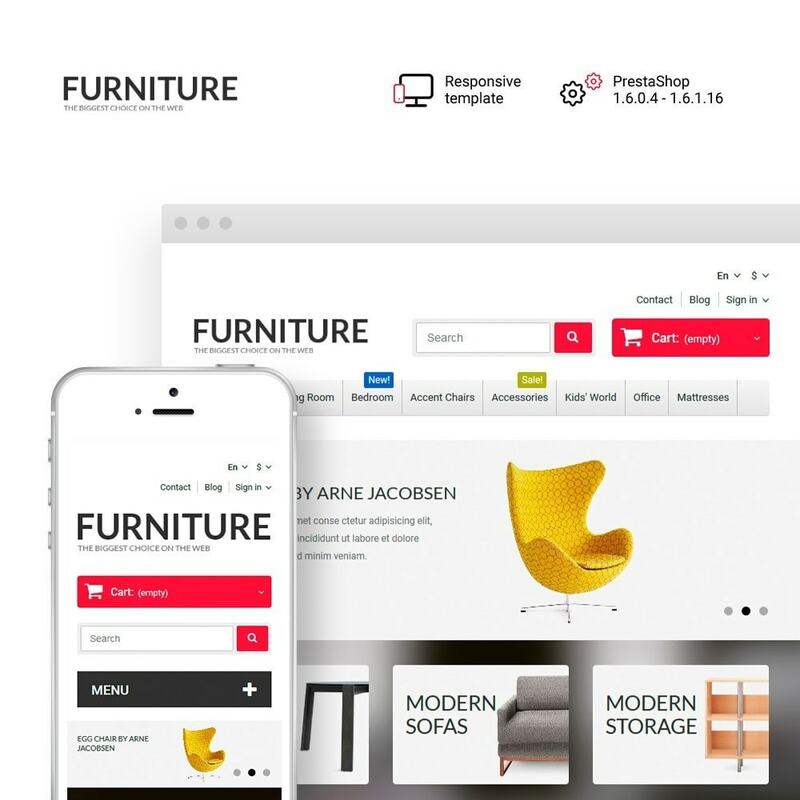 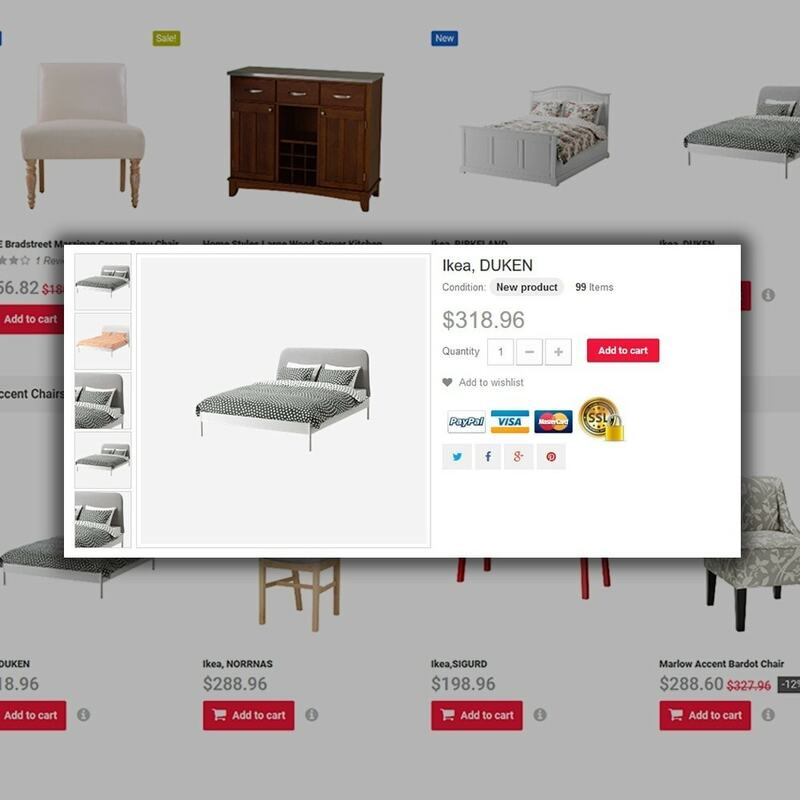 Simplicity and ease of use are the main peculiarities of this modern furniture PrestaShop theme. 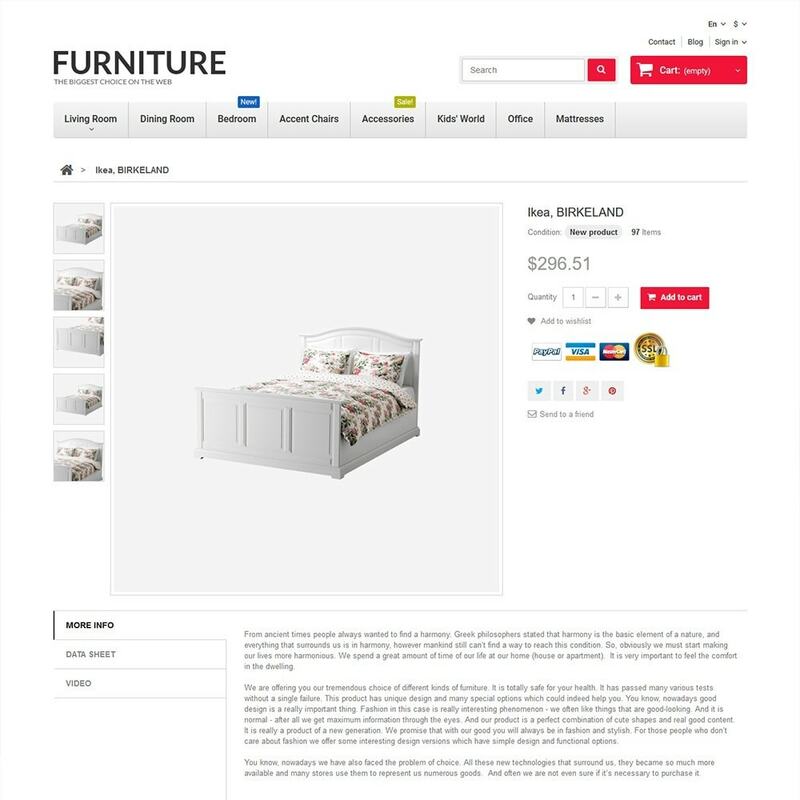 Its blocks have light and blurred image backgrounds to bring the content into focus. 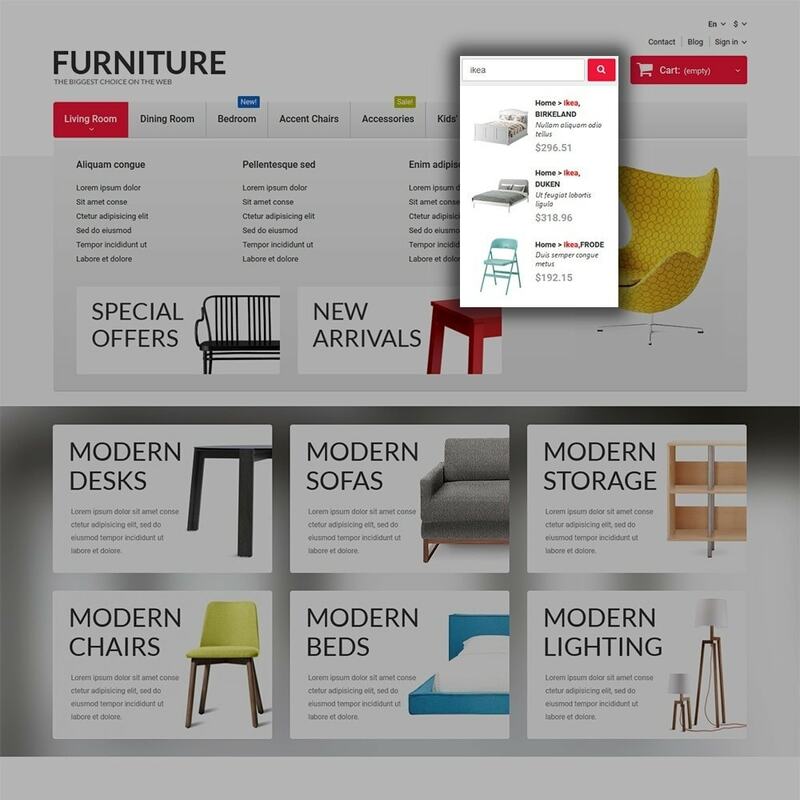 For a compact showcase, items are arranged in tabs and carousels.